Tell your business’s story and bring your brand to life with our online brochure printing services. Printed on 70 lb Gloss Book and with options for 100 lb UV or Aqueous finishes, our brochures are the perfect way to give potential clients the rundown on your company. 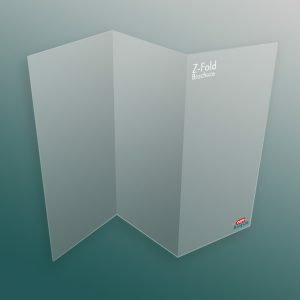 With available options in Trifold, Z-folds, and Double Gatefolds, we have the brochure that is right for you. An indispensable tool for print marketing, our brochures will help you seal the deal when it matters. A great way to connect with customers, brochures let you detail the benefits, success, and history of your company in a way that lets you present the most important information in as succinct a way as possible. 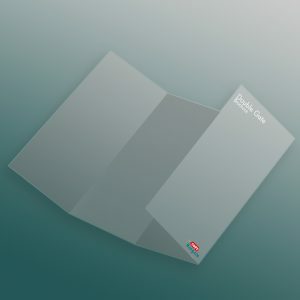 With options for Trifold, Z-fold, and Double Gatefolds, and finishes in 70 lb Gloss Book, and 100 lb UV or Aqueous coating, you can rest easy knowing that your investment is being printed on the most durable paper available. Successful print marketing campaigns know that brochures are a sure fire way to bring in lasting business. Not only do they let you provide important information for potential customers, but they leave a long lasting and tangible impression with those who use them. Plus, when you order online, you aren’t just saving money by ordering in bulk, you’re making a valuable investment in your company. 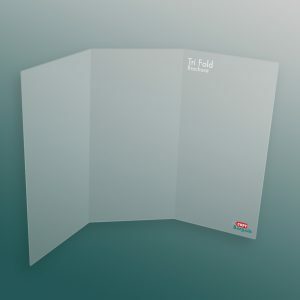 Don’t fold under pressure, instead, invest in our folded brochures and pack a punch where it matters. We’re more than just a bunch of online printers—we’re a team of professional Internet marketers that know how to get the job done right. From print solutions for practically any project, to professional in-house designers, we have everything you need to leave a lasting impression for your business. With everyday low costs, excellent customer service, and high quality print jobs, you’ll find that we’re the absolute best solution for your printing needs. Whether you need help deciding what kind of print materials your company would benefit from, or whether you just need help deciding between any of our three brochure sizes, we have the expertise to guide you in the right direction. Rest assured that from the moment you upload your file to the second it arrives at your door, your print materials, and—more importantly—your business, are in the most capable hands in the industry.